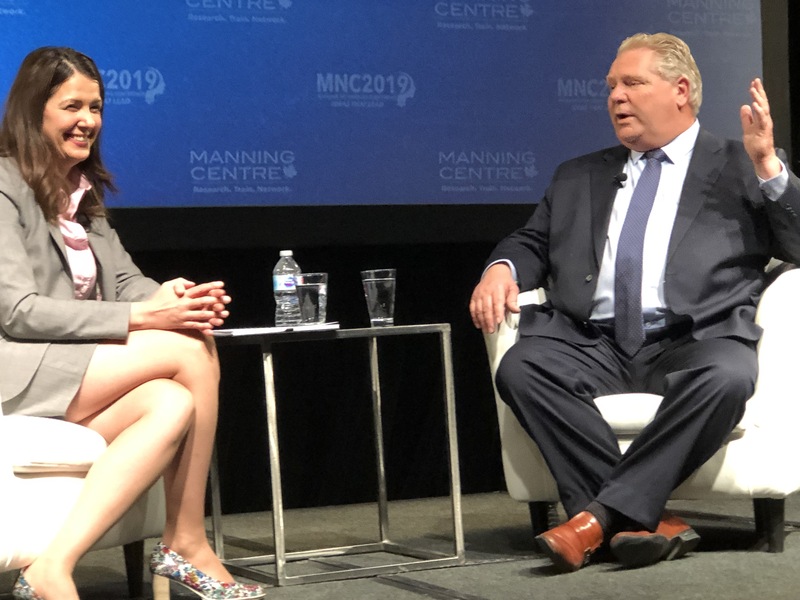 OTTAWA — Ontario Premier Doug Ford praised President Donald Trump’s policies Saturday during an address to the 2019 Manning Networking Conference and said he “couldn’t ask for a better neighbor” than the United States. Ford, who has been likened to Trump because of his populist politics, told the audience that he doesn’t resent the comparison but would only insist that “I’m Doug Ford,” and Trump “has his hands full” with domestic and foreign policies concerns. But the premier focused on the positive as he addressed a crowd of 1,500 conservative politicians, activists, businesspeople and opinion leaders. If Ford had any criticism of his southern neighbor it was only how so many illegal immigrants are coming across the border.